The length of the wood pellets must be between 3.15 mm and 40 mm according to DIN EN 14961-2. The aim is to achieve a higher share of pellets of the same length and to avoid excess lengths. - Step 1: Increase the blade distance at the pellet press, excess lengths are tolerated. - Step 2: Separate excess lengths in a sieve system. 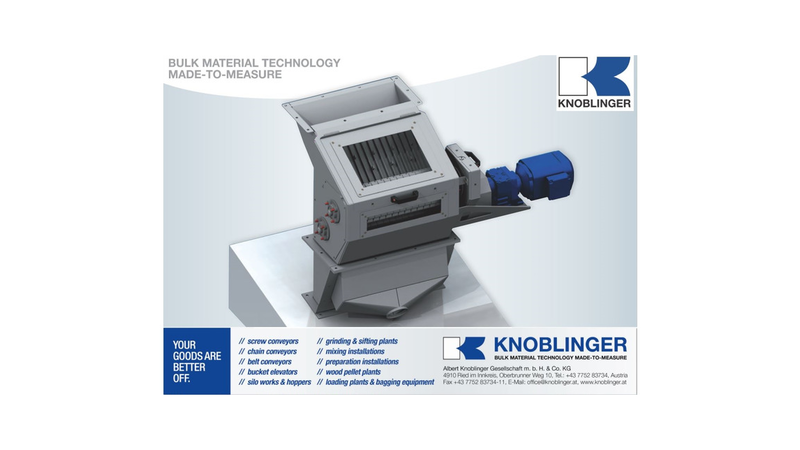 - Step 3: Calibrate excess lengths to standard length with the KNOBLINGER PELLETS CALIBRATOR.